At the heart of Scouting are hands-on, interactive activities. 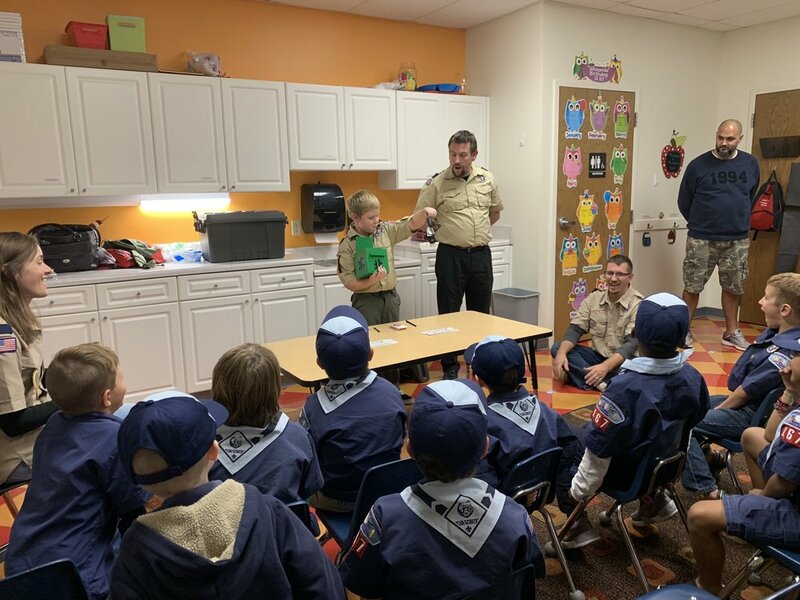 Our Pack holds weekly den meetings, guided by your scout’s Den Leader, where your scout works on their rank advancement and electives with their fellow den members. You are invited to stay with your scout and take part in the fun! Even as your scout advances into Bear ranks and beyond, you are welcome to stay and participate. Cub Scouts is a family affair! Pack 167 is part of the Apache District within Mecklenburg County Council. Can’t find the answer to your question? Contact us and we’ll put you on the right path! SIGN UP FOR THE PACK 167 NEWSLETTER! The Pack 167 Newsletter is the BEST way to get the latest Cub Scout news and information, delivered on a weekly basis!